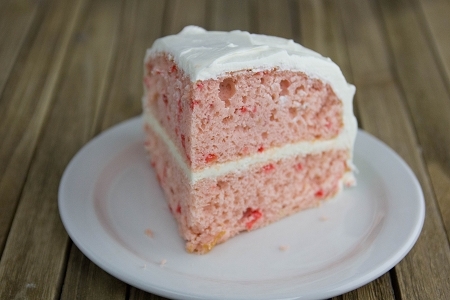 Temptingly sweet, our Strawberry Dream Cake mixes allow you to have healthier, diabetic-friendly desserts that are full of real strawberries and bursting with flavor. Simple to make—just add water and bake. Wheat Flour, Polydextrose, Maltodextrin, Whole Dried Eggs, Nonfat Dry Milk, Erythritol, Low Moisture Apples (contain: Apples, Calcium Stearate [prevents caking], Citric Acid, FD&C Red #40, Sodium Sulfite), Shortening (Soybean Oil, Canola Oil, Mono & Diglycerides), Monocalcium Phosphate, Calcium Acid Pyrophosphate, Modified Starch, Dietary Fiber, Emulsifier, Baking Soda, Strawberry Flavor, Strawberries, Vanilla Flavor, Salt, Sucralose, Carrageenan Gum, Xanthan Gum, Cellulose Gum.